"The Guy Who Settles Everything"
After twenty years of full time dispute resolution work, and having now successfully settled nearly 3000 commercial disputes, Eugene C. Moscovitch, Esq. has brought a wealth of practical knowledge, insight and experience to Judicate West, making him one of the most sought after mediators in Southern California. He has been recognized by the Daily Journal as one of the "Top 50 Neutrals in California" and has been a member of the Board of Governors of the International Academy of Mediators for the last 10 years. Mr. Moscovitch is now Immediate Past President of the International Academy of Mediators (IAM), having become President in early April, 2016. Mr. Moscovitch specializes in the resolution of Employment matters, Wage & Hour issues(including class actions), complex Business and Contractual disputes, Civil Rights lawsuits, Intellectual Property and Legal Malpractice issues, as well as significant Personal Injury cases. Gene is a frequent lecturer before State and local Bar associations, as well as at plaintiffs' attorney and defense counsel functions, on the subject of mediating and settling the most contentious of litigated cases. Mr.Moscovitch is able to draw freely upon his highly acclaimed background as a trial attorney (70-80 jury trials) and his forty-five year career as a negotiator to find ways to settle the cases that others often label as impossible. His relentless and energetic pursuit of the settlement objective distinguishes him from others who merely "try to get it done". What do you get when you combine a keen intellect and strong work ethic with a warm and friendly demeanor ? A winning set of mediation skills which have consistently allowed Gene Moscovitch to achieve an extraordinary rate of settlement (over 90 %) and an unparalleled degree of client satisfaction. 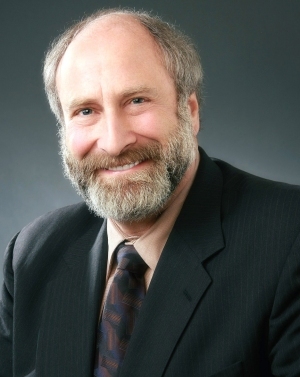 Plaintiff and defense attorneys alike agree that Gene's consistently pragmatic approach, his practical insights into likely juror perceptions and probable Court rulings, and his ability to strongly empathize and identify with both parties, have all combined to make him one of California's most effective and busiest mediators. He currently mediates approximately 100-150 full day cases per year and also engages in mediation training activities both at home and abroad. An extensive, though only partial, list of plaintiff"s attorney and defense counsel references, as well as Mr. Moscovitch's resume and most recent publications, can be found at this same website, along with appropriate contact information.